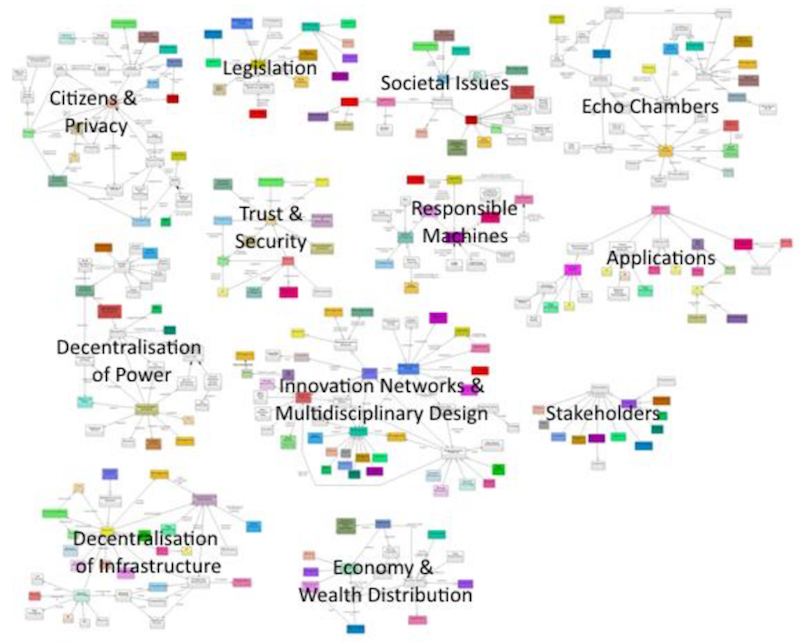 IT Innovation has published a seminal white paper providing a synthesis of major themes pertaining to the next generation of the Internet extracted from recent consultations on societal, economic, design and legislative concerns; and their implications for technological developments of the Internet. Just as citizens are members of a civil society, they are also members of a digital society through their interactions over the Internet. These interactions have and will continue to evolve over time, and the current trends are towards continuous connection to the Internet, interconnectedness, ease of communication and collaboration. Many of these interactions have beneficial societal implications, but clearly there are also emerging dangers to citizens when they use the Internet. As part of our work in the Next Generation Internet (NGI) initiative, the consultation sources were selected to provide a cross-section of established opinion, current discussions and new knowledge available at the current time, both from experts in NGI-related fields and the general public. The sources are a mix of results from large scale consultations with the general public and expert opinions from themed workshops and a major NGI-focused conference. All the sources are recent, the oldest being from Q4 2016. The main theme clusters are as follows, and the report describes each cluster in detail with recommendations for next steps. Decentralisation. This encompasses two subtopics: decentralisation of control, and decentralisation of infrastructure. Decentralisation of control is an aspiration, as it is seen by many of the sources that power is becoming too concentrated in the hands of a few large powerful players. Decentralisation of infrastructure refers to a trend towards distributed architectures such as edge computing or the Internet of Things (IoT). Privacy. This is the most often-mentioned concept in the corpus of sources, and protection of citizens’ privacy in the context of the Internet is a major concern. Innovation Networks. Digitisation and the Internet have changed the process of how people innovate, both for innovating in future generations of the Internet, and in general. Multidisciplinary & End-to-End Design. It is a strongly advocated principle that innovation in the Internet needs to involve the collaboration of people with varied skills. For example, including technical, social and legal skills, needed to address ever-more heterogeneous applications. Legislation. The pace of legislation is seen to lag the pace of technological development, so the process of legislation needs acceleration. Responsible Machines. These are applications (typically of Artificial Intelligence) that have high societal impact, and the issue of responsibility for their actions is becoming of concern. Echo Chambers. Even though the Internet is a vast source of information, there is significant concern that the information available to citizens is filtered through profiling of the citizens or the aspirations of governments. Economics & Wealth Distribution. This covers the digital economy, including business models that can exploit the vast amounts of data available in the Internet. There is fear that the ever-increasing pace of automation will deprive some parts of society, so there is also a need for investigation into how wealth is distributed amongst humans and machines. Trust & Security. These are key underpinning issues that need to be addressed in order to fulfil the potential of the Internet and its positive impact on society. They reflect an ever-growing trend that citizens are becoming less trustful and more aware of the dangers in the Internet. The white paper was written as part of the HUB4NGI project.